Letter reversals are common and appropriate until a child reaches 7 or 8 years old (second grade). Learning letters is the first time a child learns that an item becomes a different thing based on the way it is facing. A cup from seen from one side or the other is still a cup but a “b” seen the other way (“d”) is not the same thing. Children with ADHD tend to have more reversals, possibly related to difficulty in an inability to to suppress the more natural left-right flow of making most letters. Having the child the pull letters from a bag and identify the letters without looking at them has been a great activity (suggested by Dr. Charles Boulet) and correlated well with children having difficulty with this task that have reversal problems. 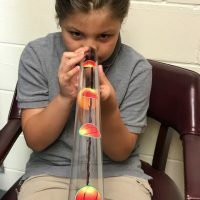 Dr. Kenneth Lane OD, FCOVD’s book , Developing Ocular Motor and Visual Perceptual Skills: An Activity Workbook, has an excellent discussion of letter reversals as well as treatment techniques. Presenting p-q-d-b chart and having the child touch “p” and “b” with right and q and d with the left has proven to be very challenging. This activity include a component of eye0hand cooridnation and saccade accuracy that will further improve binocular vision and saccade accuracy. The Optomteric Extension Program offers Recognition of Reversals Workbook, also by Dr, Lane (a great bookstore!!). This workbook has more activities for reversals and its only $20. In a few cases, letter reversals after the age of 7-8 can indicate dyslexia, but there are many other reasons a child may have reversals. 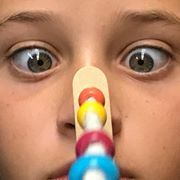 This entry was posted in pediatric, vision rehabilitation and tagged handwriting, learning disabilities, letter reversals, occupational therapy, pediatric optometry, read problems, saccade activities, visual motor integration. Bookmark the permalink.